I am so honored to have been nominated for the Liebster Award from Jess at Jess Prain Style, and I am happy to accept the challenge! Thanks again Jess! List these rules in your post. 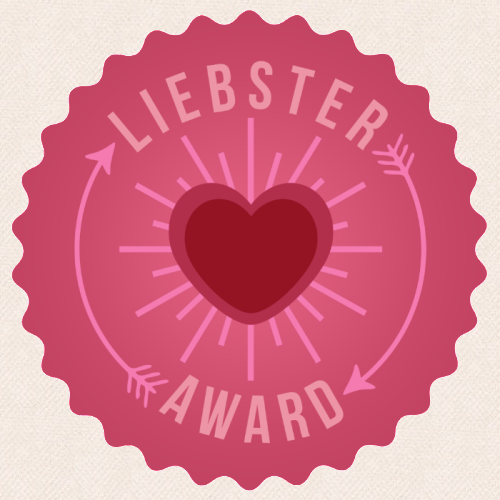 Once you have written and published it, you then have to: inform the people/blogs that you nominated that they have been nominated for the Liebster award and provide a link for them to your post so that they can learn about it. 1. Why did you decide to start your blog ? 2. What is your favorite part about blogging ? The blogging community, I’ve truly been inspired by so many creative and talented women. 3. Who helps you take photos for your blog ? 4. If you could only buy from one brand for the rest of your life who would it be ? Such a tough one… if I could only shop one store forever, it would be Anthropologie. If only one brand, it would probably be ZARA. 5. What do you want to accomplish with your blog ? 6. What is the one thing you have to have this fall season that you don't already own ? 7. Where do you get inspiration for your blog ? Everywhere really...other bloggers, work, traveling, etc. 8. What is your favorite restaurant and where is it ? 9. What is your favorite lipstick ? My favorite lipstick is YSL , but I'm more of a gloss girl. 10. Do you have a go-to spot for taking blog photos ? I don’t really have a go to spot, but I carry my camera with me everywhere I go! 11. What is your dream job ? My dream job is to be an image consultant for women who have been through a tragic experience, disease, disorder, abuse, etc. and work with them to make them feel beautiful and confident again. 4. Who are your favorite fashion icons? 5. What was your best purchase ever? 6. If you could meet anyone in the fashion industry who would it be and why? 7. What is your favorite beauty item you can't live without? 8. If you could only wear one brand, which one would it be? 9. What have you learned since you started blogging? 10.Which blog post that you've written is your favorite? I cant wait to read your answers, Enjoy! I love this tag to share the blogging community! Thank you SO much for nominating me!! Unfortunately, I've already done this tag a few months ago, but I'm happy to answer the questions! 1. Why did you start your blog? In December 2013 (just like you :)) I was bored over break. I've always been an athlete and with after Physical Therapy school I needed to share my girly/ shopaholic side. I've thought about getting into blogging for at least 2 years but never did.. I was really nervous to put myself out there, but I'm happy I finally did! 2. What do you hope to accomplish with your blog? A goal of mine when I first started was to be consistent for a year (thinking it might be hard to keep my attention and with school) But really it's not because I love it! 5. What was your best purchase ever? My Bible :) But if were talking about materialistic things, I would say I get the most use out of my Tory Burch miller sandals. 6. If you could meet anyone in the fashion industry who would it be and why? Lauren Conrad because Im obsessed with her.. haha. 8. If you could only wear one brand, which one would it be? Probably J. Crew because they have wardrobe staple pieces but I don't really want to say that because it's so cliche :) Most of my clothes come from boutiques, so it's hard to have a favorite "brand". Again thanks for nominating me!! I love Zara too! I wouldn't mind only being able to shop there the rest of my life! Congrats on the award! Loved learning a bit about you! I cant wait for fur vests!! 1. I started my blog as an outlet. I'm a stay at home mom with four kids so I wanted to flex my creative muscles and post about the things that inspire me. 2. I take my blog day by day. I'd love to keep it going and continue meeting new and interesting people and be flexible with where it may take me. I'm open to many possibilities! 3. My favorite part about blogging is the amazing group of bloggers I've met. I'm always in awe of their amazing talent, hard work and dedication. 4. My fashion icons are women who exude a timeless, classic and feminine look....Jackie Kennedy, Audrey Hepburn and Grace Kelly to name a few. 5. My best purchase was a patent Ferragamo tote I bought for $50 when I worked as a merchandiser at Filene's Basement. That was many moons ago and I still cherish it! 6. I'd love to meet Carolina Herrera. I just love her style and her aesthetic. She has impeccable taste! 7. Lately my favorite beauty item is coconut oil! Crazy, I know! But I use it as a moisturizer for my face and my body and my skin has never looked better! 8. This is a tough question! I suppose it would be J.Crew. I always find what I'm looking for there. Their creations are easy, effortless and classic. And as a mom of four, I need to keep things easy! 9. Since I've started blogging, I've learned to organize my time! There are only so many hours in the day so I need to schedule my posts way ahead of time to be able to balance it all! 10. Hmmm...this is an interesting question. I'd have to say my favorite blog post was the one I dedicated to my daughter recently titled "The Unexpected." She went through a health scare this summer but I'm happy to say she made a full recovery and is currently having the time of her life at sleep away camp! 11. My dream job would be to be a freelance writer for a fashion or lifestyle magazine. I love writing and I hope I can continue on this creative and inspiring path! Thanks again for nominating me! I enjoy reading your blog everyday! You are too sweet!! :) I love reading all of this about you!! Thanks for answering my questions! I love your blog and your favorite blog post, I'm really going to have to rethink some of my cravings ;) Love it, one of my favorite possessions is my Bible too! Cheers to December blog beginnings! Thanks Alexis, yes Zara is a great love of mine! Thank you for answering my questions! I love following your blog! Jackie Kennedy and Audrey Hepburn are also favorite's of mine, and Carolina Herrera's gowns are breathtaking! Thank you Katy! I love your blog! Amazing post, congrats! Nice answers! Aw thanks for the nomination! You're so sweet. I loved reading your answers to the questions... I wish I could live in Zara clothing too!